Yep, legendary book. And I’m probably the last one to find it. I don’t like science fiction. Never found the genre that interesting. But then again, I like this book. I really like it. And others, now that I think about it. Cyberpunk, whatever you might want to label this book. It works. Strange, exotic, hypnotic and a glimpse into one possible future. 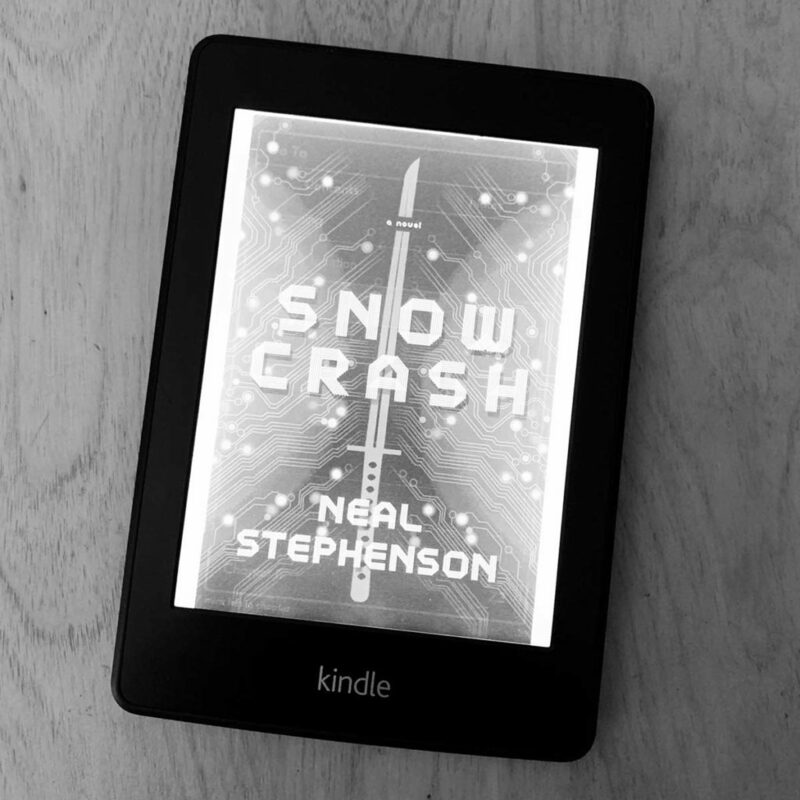 Neal Stephenson’s “Snow Crash” is a book about the future. With the death ray my body produces I’m sure to be the guy that f^%$# up the future. Good, bad, hyper-real and electric. If you like this kind of thing, get it and read it. I used to love sci fi. I stopped reading it because it felt too much like I was reading a documentary of the present day. If you read William Gibson it could be terrifying. Yeh at some point Gibson stopped writing about the future because he said it was too much like the present. I think “Spook Country” was his first set in present day. It is uncanny what Gibson wrote about in the 80’s. A prophet for sure.